As we reported earlier, BlackBerries around the world have been suffering from service outages. As of the time RIM made a statement on the issue, the problems had been occurring in Europe, the Middle East, Africa, India, Brazil, Chile, and Argentina, but now it seems like the problems are spreading. Reports have been coming in that BlackBerry users in Canada and the United States have been experiencing the same service outages. RIM said it is working to fix the issue, which it blamed on a "core switch failure". Whatever the reasoning, this problem has become a PR nightmare for the company, which has been watching its market share and stock fall recently. Rumors have also been circulating that many businesses have been working to incorporate employees' personal smartphones (aka iPhones and Androids) into enterprise networks, which would completely remove the need for BlackBerries at all. During this, "Dear BlackBerry" has become a trending topic on Twitter, and there is some real anger out there. 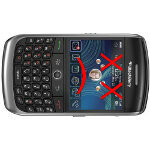 It's not all comments like: "Dear BlackBerry, thanks for honoring Steve Jobs with 3 days of silence." I love Blackberry to death but please to end up like Palm and force me to go to these other devices i so happily choose not to do. In Dominican Republic we have been suffering BB service outage since late last night. This one is really going to hit hard on an almost capsized RIM. Possibly the signs of an upcoming death of RIM? yap.... their expensive devices were crippled like a stupid year 2000 phone that can't do anything at all. One of our user's where I work in Phoenix is affected.